Color is a subjective measure. Person to person we can’t be sure that what one person sees as blue is in fact the exact same hue that someone else sees as blue. This lack of consistency can lead to problems if relying on the description of one person to determine a color. The field of color measurement arose in response to the need for a standardized method of measuring the color of the world and objects around us, without turning to faulty human perception. The International Commission on Illumination (known as CIE from its French title) organization developed a series of mathematical functions that represent the light source (illuminant), the observer (the color matching functions x,y,z), and the object. Instruments used in color measurement include colorimeters, condition-simulating light booths and the spectrophotometer. In this article we look at the color measurement method and how it works, the instruments that measure color including the spectrophotometer and light booth, and where to find these instruments from suppliers in the US. Spectrophotometers measure color based on the intensity of wavelengths, not how the eye perceives it. To see color you need a light source, an object, and an observer. To measure color in a quantifiable way you need a way to turn these variables into data. The human eye perceives color through the action of cone cells, concentrated on the retina. Cones come in three types based on their light sensitivity: long-wavelength (red), medium-wavelength (green), and short-wavelength (blue). To quantify the human perception of color (the science of colorimetry), scientists at CIE conducted some vision experiments which led to the development of the x (red), y (green), and z (blue) color matching functions. The color matching functions work like coordinates for locating a color in a ‘color space’, and by describing all three you can define any human color sensation. The CIE functions are collectively used as the Standard Observer. For the Tristimulus method of color measurement, an instrument (such as a colorimeter) has three sensors, one each for red, green and blue, which are filtered to have the same sensitivity as the color sensitive cones in our eyes – through the x, y, and z functions. When the light hits the sensors they can directly measure the x, y, and z tristimulus values which provide a quantitative description of the color, based on what the eye would see. In essence, color measurement is the process of breaking down the effect of wavelengths of light on the human eye into quantitative and replicable data – an instrument takes light and “sees” it as numerical data. The CIE XYZ color space is one of the many color spaces used to quantify human color vision. By doing this we can communicate colour in a meaningful way. Unlike colorimetry, spectrophotometry deals with color not as perceived by the human eye but as a function of wavelength. It is the quantitative measurement of the reflection or transmission properties of a material as a function of wavelength. The specimen being measured is illuminated by a light source from the CIE standard illuminant space. 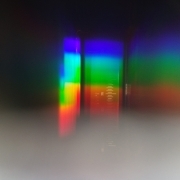 The light reflected by the specimen then passes through an optical grating which breaks the light into the spectrum and hits a detector array. The array measures the intensity of the light at each wavelength, and so each color. This form of color measurement uses the CIE L*a*b* color space. Here L* is the lightness value, and a* and b* are the color values, representing green-red and blue-yellow color components respectively. This color scale is based on the opponent-colors theory, stating that two colors cannot be both red and green at the same time, nor blue and yellow at the same time. The other measure used by a spectrophotometer is difference (delta). By calculating the change in L*, a* and b* values and determining the overall difference (delta E*), it can be shown how far removed from a color standard a sample is. Traditional 45°/0° spectrophotmeters – In these instruments the angle of illumination is 45°, and 0° is the viewing angle. The detector receives the reflected light at a 0° angle, perpendicular to the sample. These single-angle instruments work well for solid colors. Multi-angle (MA) spectrophotometers – Primary illumination is at a 45° angle, through it can also be provided at a 15° angle. They can provide reliable color data on special-effect coatings for example, in the automotive industry. Spherical/sphere spectrophotometers – The sample being measured is illuminated from all directions, and the detector receives the light at an 8° angle from the sample’s surface. The sphere is internal to the machine, providing the reflection and source of the light. These are best for specular or highly reflective surfaces. Anyone who has ever left the house thinking they looked respectable only to see their reflection in the fluorescent light of the supermarket and realized they look like death warmed up has experienced the difference the right light can make. This is why the color measurement standards and instruments are so important for ensuring accurate and replicable results. What we see as ‘white’ light in everyday life is actually almost always slightly biased towards the red, yellow, green, or blue areas of the spectrum. When these differences interact with other colors, the results can be immediately noticeable. A light booth allows for an objective visual color assessment by testing a sample or product in a range of lighting sources. These might include daylight (illuminant standard D65), incandescent light, department store light, and ultra-violet light. A light booth is a booth in which these various lighting conditions can be simulated. When it comes to coatings it is mostly used to test the finish of products under controlled conditions. It can also reveal how coatings on different substrates will perform in different lights, and how special effect coatings will perform with different angles. 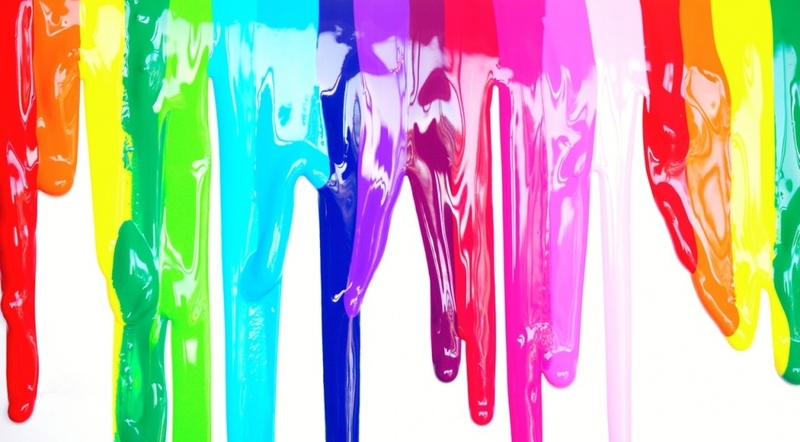 Appearance is an important part of any coating application, and color is one of the first things that attracts the eye. Color matching across products and color harmony across surfaces is vital for the first impression of quality. The US has several companies providing color measurement tools and instruments for the coating industry. Below we have made a sample list of just a few of these suppliers and their products including BYK-Gardner, Elcometer, and PCE Instruments. If you need color measurement equipment for your business or project, get in touch! Our experts are here to help. We will collaborate with our coating partners to find the right tool for the job. Just use the “Request a Quote” link and fill in the contact form with your requirements to get started. PCE Instruments Color Meter PCE-TCR 200 Colorimeter Determines colors using CIE L*a*b color space and the RGB color range. Made for use in plating and painting industries. It has three inspection conditions: D65 (daylight), D50, and F11. PCE Instruments Color Viewing Box PCE-CIC 10 Light booth Supports six possible lighting types supplied as standard: “A/F”, “D65”, “TL84/F11”, “UV”, “CWF” and “TL83/U30”. BYK-Gardner BYK-mac i Spectrophotometer A portable spectrophotometer for metallic colors and effect finishes – it measures multi-angle color from 15° / 25° / 45° / 75° / 110°. Available with 23mm or 12mm diameter measuring area. Elcometer Elcometer 6085 Portable Sphere Spectrophotometer Spectrophotometer Measurements can be obtained from any of the nine illuminants with 2° or 10° observer angle: L*a*b*, DL*Da*Db*, L *C*h°, DL*DC*DH*, DE*ab, DECMC, DE CIE94 and XYZ. Whiteness and Yellowness per ASTM E 313-98.